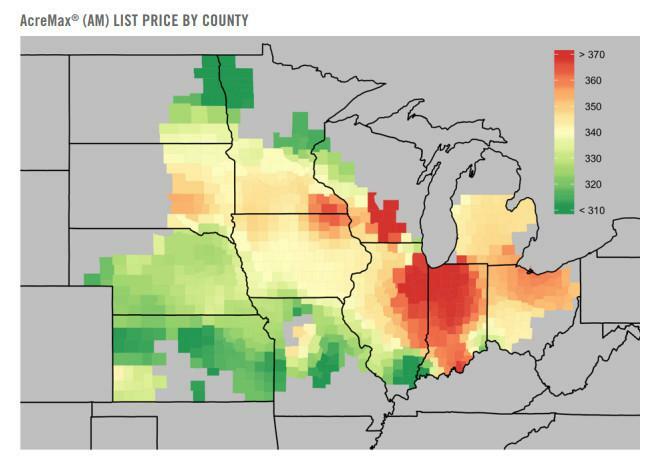 This map shows Farmers Business Network's estimated seed prices by county for a particular type of Bayer seeds. 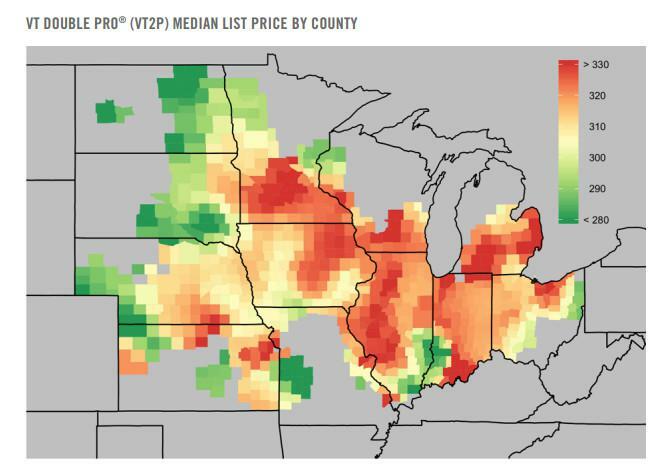 This second FBN map shows different seed prices for a DuPont Pioneer seed trait package. These maps show aggregated data from Farmers Business Network using member invoices, not from DuPont Pioneer or local dealers' data. Farmers Business Network provided some redacted examples of member seed invoices, which show how the same types of seed were being sold at different amounts in different counties. The top seed price is from Livingston County, Illinois, in November 2017. The bottom is from Grundy County, Illinois, in December 2017.